Our guest today is Melissa Sweet, author and illustrator extraordinaire. She has illustrated two fantastic EBYR books, A River of Words, a Caldecott Honor book about the poet William Carlos Williams, and most recently The Right Word, a biography of Peter Mark Roget, the inventor of the thesaurus. 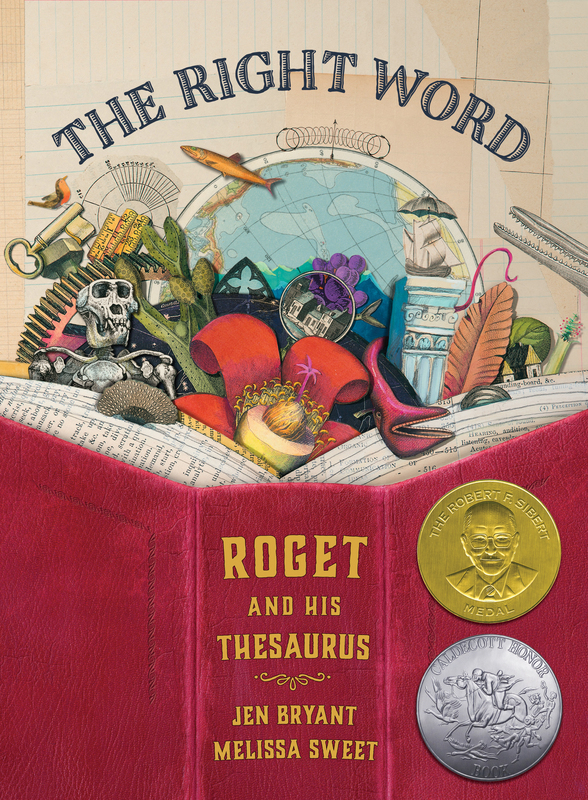 Just today The Right Word was announced as a 2015 Orbis Pictus Award Honor Book by the NCTE. Congratulations to Melissa and author Jen Bryant! I see a MASS MOCA exhibit in your future, Melissa!